Join today and get a customized, professionally designed, scientifically proven workout – start on the path to success! A $200- $400 value. Whether beginner or advanced; young or old; whether a bodybuilder or fitness buff or pro football player! And, obtain the knowledge base that will empower you to be your own fitness, health, training, and nutrition expert. These four areas will help you become your very fittest and healthiest self. Your customized workout is not a canned workout, but personalized to fit you, not someone else; it includes 1, 2, or 4 weeks of workouts designed for you and your specific level of fitness (beginner, intermediate, or advanced). You choose! 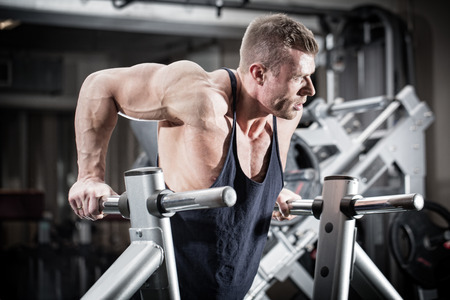 Don’t wander aimlessly around the gym, have a plan to progress and improve! Make your fitness resolution stick. That plan is our customized workout, designed specifically for you – available anywhere you have Internet access. Print it out or keep it on your smart phone. Having a written program allows you to move through your workout efficiently, by knowing exactly what to do next and thus, utilize your time effectively to improve your physique, skills, and fitness levels far beyond where you thought possible. Your improvement and progress will be automatic, almost like it’s on cruise control. A 12-week periodized version is coming soon, geared to advanced high-school, collegiate, and professional athletes for any sport. So, you may be asking yourself, “Why should I join My Health and Fitness? I can find this information elsewhere. Yes, in some respects you can, but you’ll spend hours searching the Internet and likely have less relevant and or timely information. 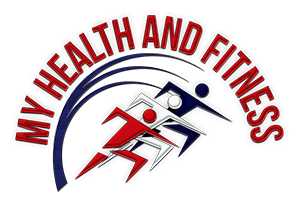 MyHealthandFitness is designed to be a one-stop shop so that you can maximize your time and efficiency. Face it, none of us can afford to waste a second. 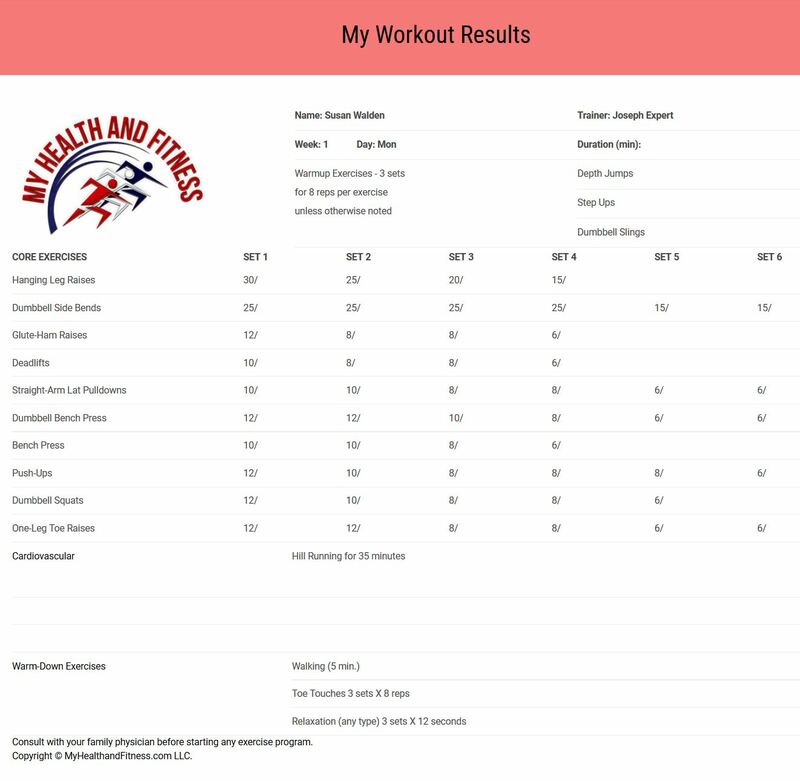 More importantly, our proprietary workout software allows you to design and build your own program(s), from novice level to pro-athlete level, will not be found elsewhere. From beginner to pro – bodybuilding to soccer – football to baseball and more. Workout programs of this type can cost as much as $400 and more depending on your trainers expertise and or your needs/goals. 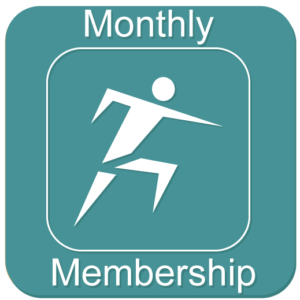 But, it’s not just the workouts, we have lots of information that is totally free – you do not need to be a member to read it! Our goal is to empower you to become your own fitness, health, nutrition, and training expert. Your health and fitness adventure will last a lifetime. And, if you really hit a brick wall and need to talk to ‘the’ expert, you can discuss your issues with Dr. Tindall in confidence (feature coming soon) over the phone and sometimes, in person. Our $8.95 monthly membership is an incredible deal! However, the best deal is our annual membership at 25% off. The latter makes a great gift for your loved ones. Whether you are just getting into general fitness or are a professional, competitive-level NHL, NFL, or similar athlete; whether you are a young adult or a senior, you will benefit from our programs and large knowledge base. My Health Express – our free online monthly magazine designed to make you your own expert in the areas of health, fitness, training, and nutrition. Founders Blog – where more advanced topics are covered, questions from readers in the form of stories are answered, and more. 30-Days Express Program: a free one-month workout designed for 5-days per week for 4 weeks. It will help get you going. The workouts are geared for all fitness levels and from novice to professional, depending on the month. These workouts are also designed using the MyWorkout program. What’s that? You cannot wait to get into the gym working out? 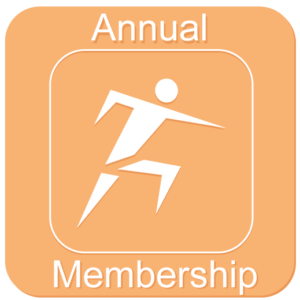 Once you join, simply click on the ‘MyWorkout’ icon on home page – fill in your fitness level, goals, and related parameters and your professional program will be immediately available on your laptop, smart phone, tablet, or other digital device. Go to the gym and have fun. Combine this workout with our huge knowledge base and you’ll become your own expert in the areas of health, fitness, training, and nutrition. Below is a sample first-day workout designed using MyWorkout – the same way it will appear on your smart phone, iPad, Surface, or laptop computer. You currently can choose from 14 workout areas from ball sports to bodybuilding to general fitness and more, with marathon running and others coming soon. And, you can choose from beginning, intermediate, or advanced fitness levels for 1, 2, or 4 weeks duration. Longer duration times are coming soon, along with 12-week periodized programs for professional athletes. *This is our value-added proposition – a professionally designed, $200 – $400 per month value, workout/training program geared to your specific goals and fitness level — these are not ‘canned’ workouts, but custom designed for you based on your individual fitness and goal(s) profile. Whether a novice or a pro athlete, our professional programs will enhance your performance and take you to the peak of your goals. It is called ‘MyWorkout’ and progresses from level 1 to level 10 based fitness levels. So, what are you waiting for? At 30 cents per day for a monthly membership or 22 cents per day for an annual membership, you’re practically committing highway robbery. We stand by ready to help if you’re ready to begin! Be the BIGGEST WINNER today and become your own health, fitness, training, and nutrition expert! Choose your membership level – you’ll be glad you did.